Jeans are basic staple in everyone’s wardrobe, but it can also be the most challenging item to shop for too. We all want to find that perfect pair to make us look and feel great. But with so many fits and styles out there it can be a real mission to find the right pair to accentuate our physique. Don’t settle for “as long as it fits” jeans. There are a few ways to find the perfect pair and it all starts with knowing your body! While I know that everyone’s shape is uniquely different, denim experts like True Religion have mastered classic cuts that will flatter both men and women alike. From bootcut to straight leg and boyfriend to skinny jeans. There’s a style that will work every body shape! Apple shaped bodies tend to carry their weight in the midsection. 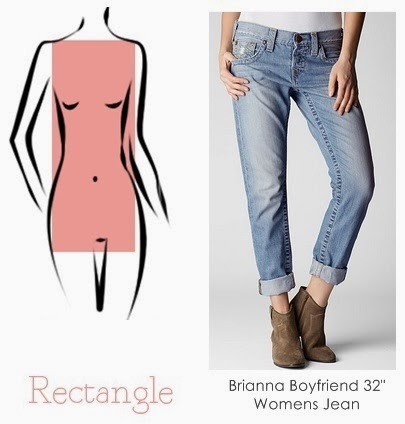 Jeans with stretch and structure work best with this shape. 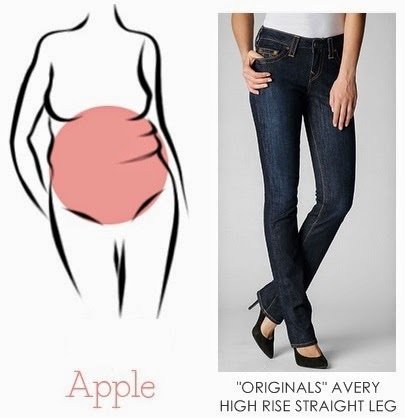 To flatten your stomach, choose a high-waisted jean with a narrow leg. 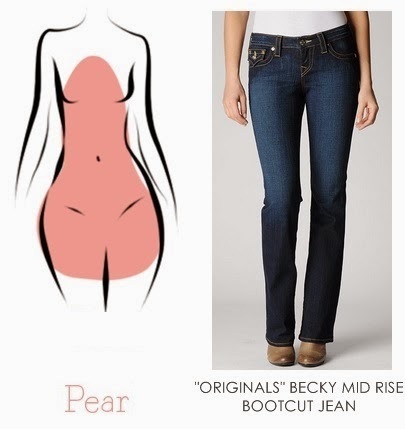 Pear shaped figures tend to have wide hips and full legs. To flatter this, choose a jean with a wide leg such as a bootcut to minimize your bottom half. 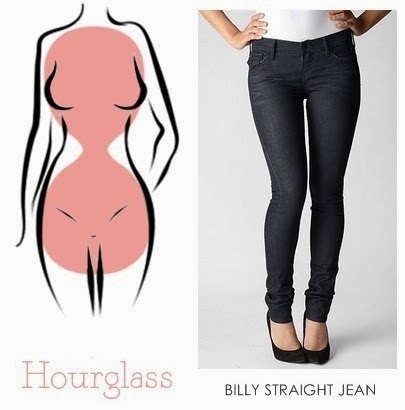 An hourglass shape has a very defined waist, while the shoulders and hips are around the same size. Solid and slim cuts flaunts your curves the best. Rectangular figures lack a defined waistline and are straight up and down. Skinny jeans fit great, but a great pair of Boyfriend jeans can also create an illusion of curves when they are none. 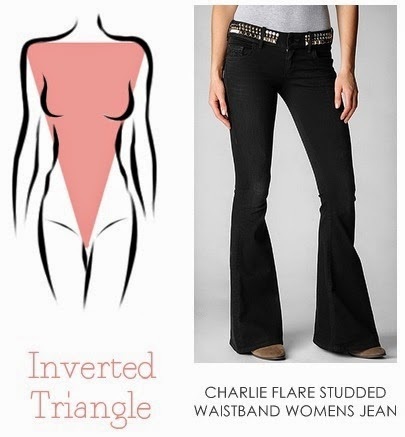 An Inverted triangle shape means your hips are narrower than your shoulders, to offset this, choose a flare leg to help balance the width of your hips. At the end of the day these are just recommendations. 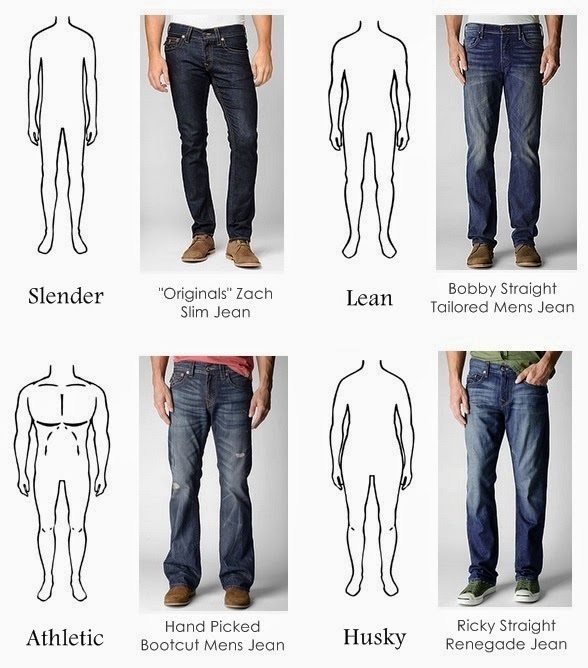 Hopefully this will aid you in search for the perfect pair of jeans, but remember not all bodies are made the same. It’s always best to try on different styles and see what you feel the most comfortable in. *This post brought to you by True Religion. See disclaimer/disclosure for more info. Great tips! I'm pear shaped and always have the hardest time finding jeans. Thank you! I hope the information helps you on your search.